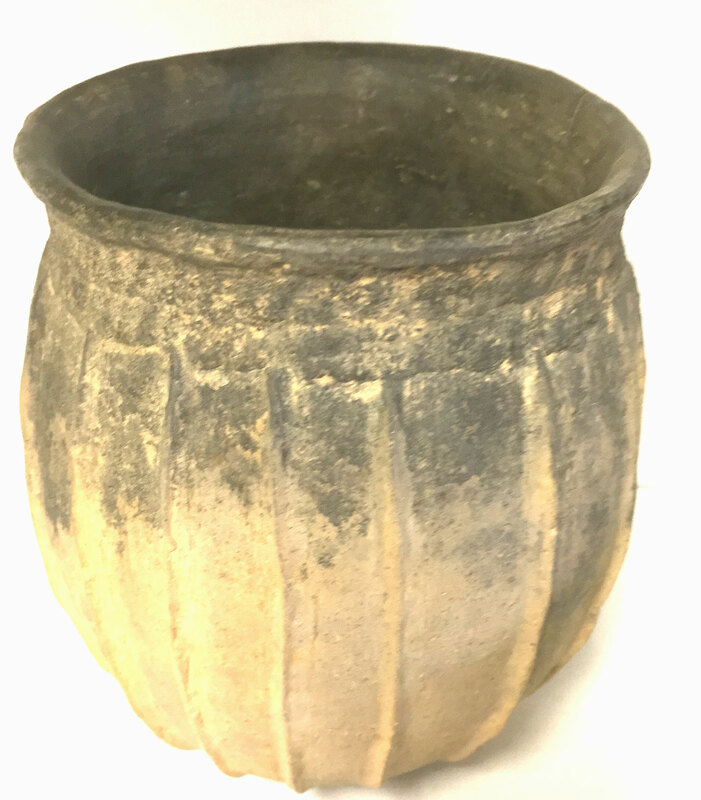 A Typical Size, Visibly Aged And Very Well Made, Red River/Titus Focus Caddoan Cass Appliqued Jar That Exhibits Visible Surface Aging And Clay Coloration Patination, Visible Inside Aging And Deposits, Aged Open Pit Firing And Firemarking, Visible Aged Surface Shell Grog, Correct Polished Bottom Wear, Correct Material And Manufacture For The Area Found. Ex-Rick Steed Collection. The Decoration Is Made By Applying Vertical Ridges Of Clay Around The Body Of The Jar Before Firing. This Is A Very Nice, Highly Collectible Example For The Type, Being In As Originally Made, Excellent Condition! Includes A Ken Partain Certificate Of Authenticity.